DLA Piper has snared a corporate partner from Latham & Watkins‘ Frankfurt office, as the firm continues to bolster its capital market divisions in Germany. Roland Maass will be joining the firm from Latham, where he has been a partner since 2006. His practice mainly focuses on capital markets transactions, advising domestic and international companies on IPOs, rights issues and convertible bonds. He will be joined by associate Juliane Hack, also from Latham. 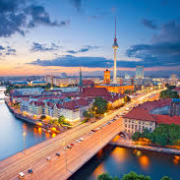 Schumann joined the firm in Munich, specialising in corporate M&A and private equity work. Alongside the German hire, DLA Piper has also announced that it has taken Shearman & Sterling counsel Yang Ge in Beijing. She is a US capital markets partner, who focuses on equity and debt securities offerings. Offshore firm Mourant Ozannes has hired Farrer & Co’s former senior partner Jim Edmondson as head of its international trusts and private client practice. Edmondson will join Mourant Ozannes as a consultant in London on 1 May. He will take over as head of the trusts and private client team on 1 September when incumbent Douglas Close steps down after three years in the post. Edmondson spent two years as joint senior partner for Farrers (3 May 2011) and also headed the firm’s private client team until he stepped down last May to become a consultant. He joined the firm in 2001 from Nabarro (25 June 2001). Mourant Ozannes managing partner Jonathan Rigby said the private client team had exceeded its growth targets under Close’s leadership. “It’s testament to that success that we have been able to recruit someone of such international standing as Jim Edmondson,” he added. Edmondson said in a statement that he was sorry to leave Farrers, but was looking forward to working with another firm which was not in competition with his former practice. “I’m particularly grateful for the support and cooperation of my colleagues at Farrers in enabling me to take on this exciting new challenge,” he said. Mourant Ozannes, formed through the 2010 merger between Jersey firm Mourant du Feu & Jeune and Guernsey’s Ozannes (3 February 2010) has a team of private client lawyers advising on British Virgin Island, Cayman, Guernsey and Jersey law. Dechert life sciences exits continue as Frankfurt team leaves for McDermott. McDermott Will & Emery has sealed the hire of a four-lawyer Frankfurt team from Dechert’s life sciences practice. Willkie Farr & Gallagher has added a partner to its London office with the hire of Slaughter and May associate Simon Osborn-King, as the US outfit continues to build out its corporate crime and investigations practice in the City. Osborn-King, who has spent more than 10 years at Slaughters after joining as a trainee in 2007, has worked on a number of high-profile investigations during his time at the magic circle firm. These include Deutsche Bank’s interbank rate-rigging probe, which settled in 2015, as well as an unsuccessful attempt by the Serious Fraud Office (SFO) to prosecute Japanese camera maker Olympus, which was dropped the same year. Willkie London litigation, compliance and enforcement and white-collar defence practice head Peter Burrell told Legal Week: “Investigations and compliance are one of the core practices of the firm globally. We have been expanding our London and Europe teams, and in the City we’ve seen real growth in the amount of work we’re doing. Burrell joined Willkie in 2012 from legacy Herbert Smith to launch the London practice for the US firm, and since then it has grown from one partner and an associate in the City, to three partners, 10 associates and two paralegals. The team is currently advising Barclays on fraud charges brought by the SFO last year relating to the bank’s capital raising arrangements with Qatari investors during the 2008 financial crisis. While at Herbert Smith, Burrell secured a formal corporate plea bargain for client Mabey and Johnson, the first UK company to be convicted for overseas bribery and corruption and violations of sanctions laws. His other clients have included Virgin, Severn Trent, Weir Group and Willis Limited. Vinson & Elkins has hired acquisition and leveraged finance partner Paul Simcock from Jones Day’s London base. Simcock, who joined the US firm in 2014 from Berwin Leighton Paisner, was previously a counsel at Skadden Arps Slate Meagher & Flom, having trained at Allen & Overy. Last year he was part of the Jones Day team which advised L1 Retail, the retail investment arm of LetterOne, on a £900m financing in connection with the acquisition of Holland & Barrett. Vinson EMEA corporate head Jeff Eldredge said: “Our corporate team has been growing rapidly, and with the addition of another top-tier hire, we’re positioned to push even further into one of the leading finance capitals of the world. 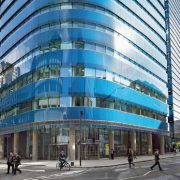 Other recent London hires for Vinson include Clifford Chance finance partner John Dawson and Simpson Thacher & Bartlett finance counsel Federico Fruhbeck, who both joined as partners. 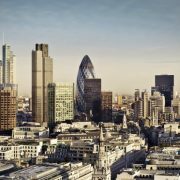 Jones Day saw a number of London partner departures during the 2015-16 financial year, including several practice heads, with tensions around the firm’s lack of transparency over pay and a disconnection between the London office and the rest of the firm blamed by some for the spate of exits. White collar partner joins from criminal law and human rights specialists Hickman & Rose. Clyde & Co has boosted its regulatory and investigations group with the hire of a partner who successfully acted for Barclays traders during the Libor scandal. Charles Kuhn, who joins Clydes from criminal law and human rights firm Hickman & Rose, is best known for acting for Ryan Reich, who the Serious Fraud Office alleged had attempt to rig benchmark borrowing rates. 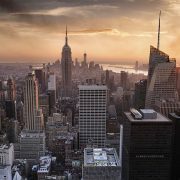 Latham & Watkins has hired long-serving Allen & Overy (A&O) corporate partner Peter Harwich in New York. Harwich was made partner at A&O in 2001 and has since led on a range of high-profile M&A matters for the magic circle firm. These include advising A&O client SAP on its announced $3.4bn purchase of cloud computing company SuccessFactors in 2011, as well as GE Healthcare’s $1bn acquisition of NASDAQ-listed Vital Signs in 2008. He also worked on Elster Group’s $2.3bn takeover by Melrose in 2012 and Misys’ sale of its Diagnostic Information Business to Vista Equity Partners. Other new joiners to Latham’s global corporate department in the past year include Linklaters’ German partners Nikolaos Paschos and Rainer Traugott. The US firm also recruited from A&O in London earlier in 2017, taking corporate partner Ed Barnett and finance partner Stephen Kensell. 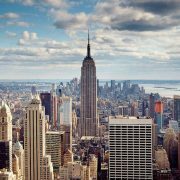 A&O has been recruiting heavily in the New York market in the past year, prioritising growth in the finance practice. It took on four lateral partners to its finance team. The three laterals were from White & Case and Proskauer Rose, while Milbank associate Todd Koretzky also made the move. Months later, the magic circle firm also hired from Paul Hastings finance group, recruiting former head of leveraged finance Bill Schwitter, alongside partners Michael Chernick and Jeffrey Pellegrino. Former A&O US senior partner Kevin O’Shea nevertheless left the firm for Milbank Tweed Hadley & McCloy along with two real estate partners last November. 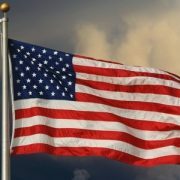 The departure saw litigation head Tim House relocate to the US as the firm’s new senior partner this year. He will be taking two associates with him – Sahra Demirbilek and Stephan Lehnen. Demirbilek joined Bakers in 2014, while Lehnen has been with the firm throughout his career. Kaiser advises banks and corporations on various aspects of banking and finance law, including Société Générale, HSBC, Citi Group, Volkswagen Bank and Mizuho. He specialises in securitisation work, particularly the securitisation of automobile loans and trade receivables. 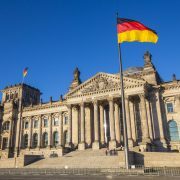 Ashurst’s German practice has been hit by a number of departures in the last two years, including four partner exits to Goodwin Procter in November 2015. The group worked on real estate, finance and private equity deals in Frankfurt. Earlier this year, Gibson Dunn & Crutcher recruited Munich finance partner Sebastian Schoon, who had been a partner at Ashurst since 2011. 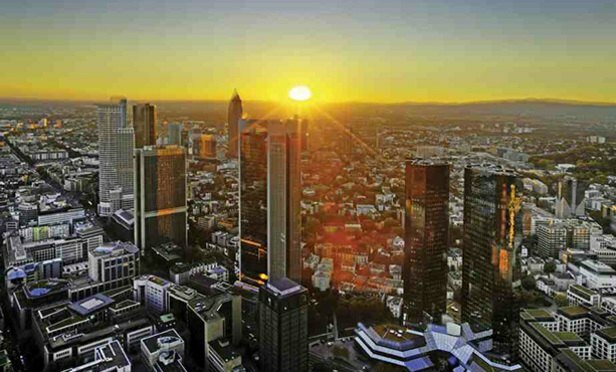 Ashurst has two offices in Germany – Frankfurt and Munich. The Frankfurt office consists of 14 partners, while Ashurst’s comparatively newer Munich base houses five. 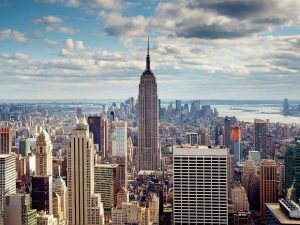 Allen & Overy (A&O) has continued to drive its US finance team with the hire of a three-partner team from Paul Hastings.